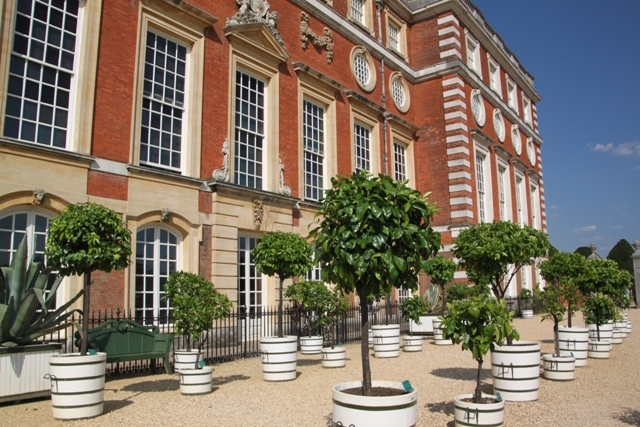 After a morning exploring the indoor delights of Hampton Court Palace, we were pleased to be heading outside to explore the grounds and gardens. With 60 acres of lovely riverside gardens time though was at a premium for us and stamina was required. Our first port of call was the famous maze. Son was super excited about this – let’s just say we were a little underwhelmed. 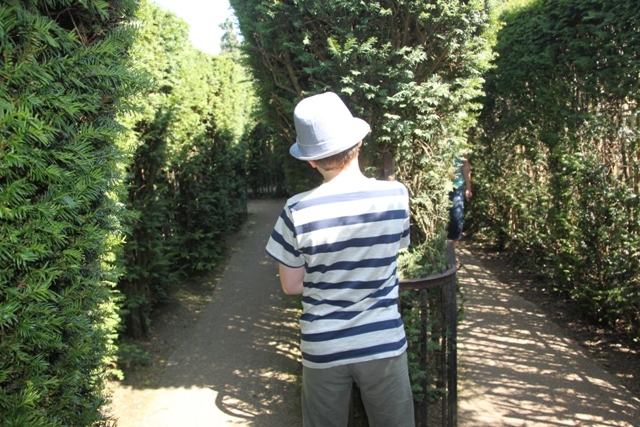 The maze was more than a bit straggly and bare, you could actually see everybody else through the sparse hedges and we found the centre in a matter of minutes. Fair to say this wasn’t really a challenge and Longleat it was not. However the fact it is the oldest maze in the country – designed in 1689 – and probably the most visited made me feel a little more forgiving. 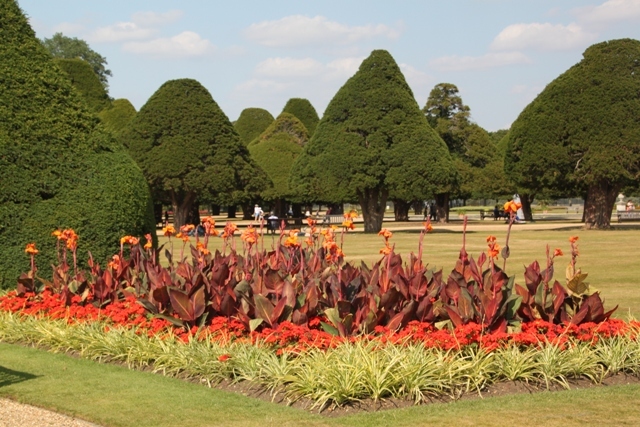 A stroll around the formal gardens more than made up for the maze disappointment – simply stunning with colour and beauty everywhere. 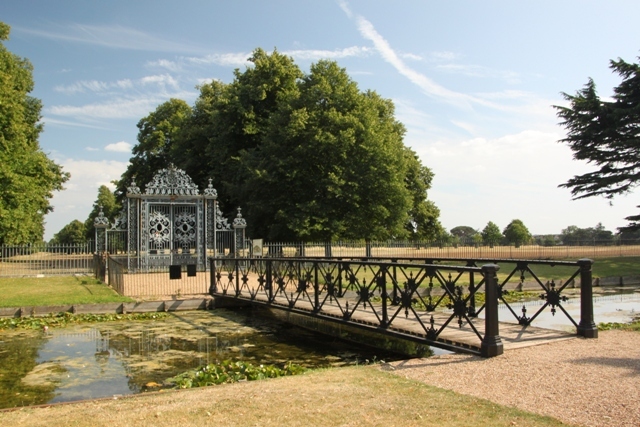 A walk down to the Thames to take in the magnificent gates is a must and we just sauntered, ice-creams in hand taking in the glorious views. 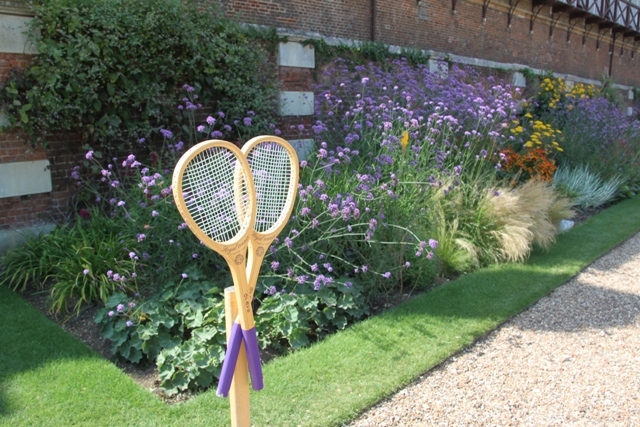 Henry VIII designed the tennis courts – a keen player – and when we looked inside there was a game going on. We didn’t linger too long, signs warned to be quiet when a match was underway, Son was struggling with the quiet bit. 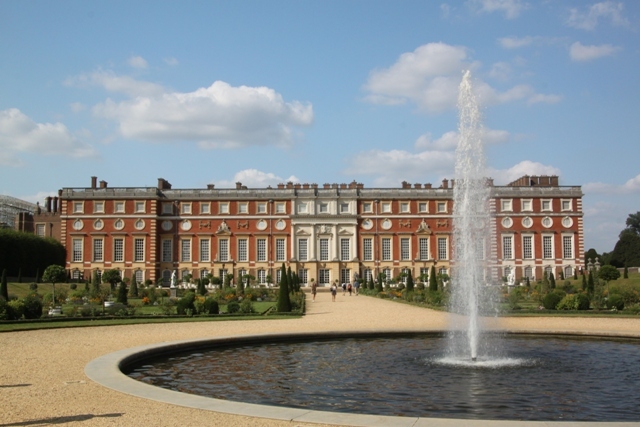 A highlight for me was the Great Fountain and the Privy Garden, laid out as it was originally designed in 1702. The Pond Gardens are flower rather than fish filled nowadays but also a lovely spot. 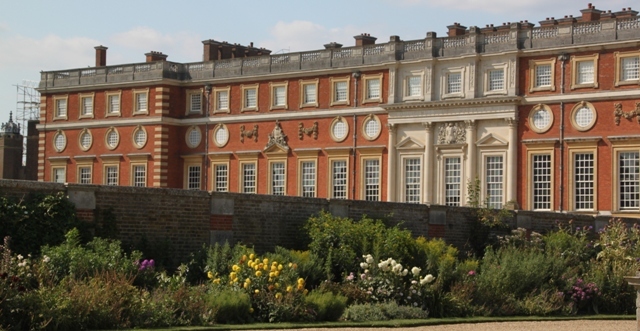 In Henry’s day apparently you could tell a wealthy house by the number of chimneys – I read somewhere Hampton Court was said to have enough chimneys for every day of the year. Last but not least we found the Great Vine, planted in 1768 by Capability Brown and thought to be the oldest in the world. Huge is an understatement here, inside the greenhouse we saw the vine itself and were amazed that the area of soil outside is where the roots extend, nothing else is planted there to avoid competition for water and nutrients with the Great Vine. We lingered in the grounds right up until closing time. Totally exhausted at the end of the day but definitely worth the pain – the palace and the interior provided a fascinating morning but exploring these grandest of gardens was simply sublime. An experience I would highly recommend. Thank you so much for the link Anabel – appreciate that!! It is a gorgeous place – so much history and yet you can have so much fun here too with the family. We all loved it. I would probably be dead if I had to mow those lawns!!! Lovely photos, Joy. 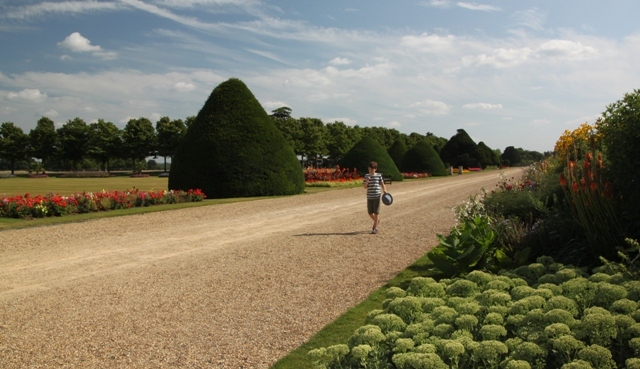 We loved the gardens at Hampton Court too. 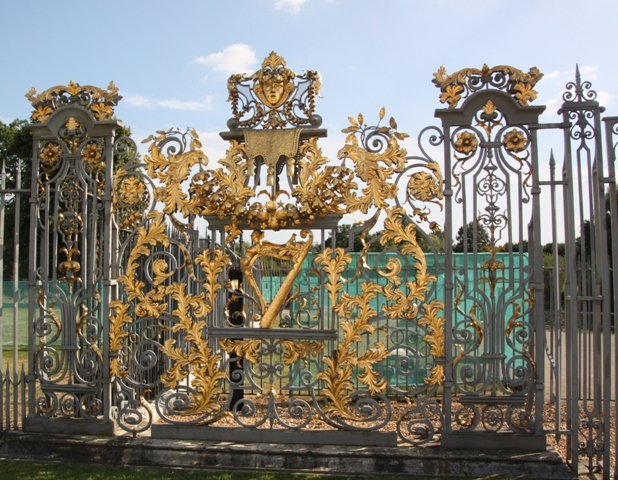 We also went to see the gates and the Great Vine and were similarly disappointed by the maze. We had a lovely sunny day Laura which definitely helps with photo taking! It’s such a stunning place, would love to visit the gardens at a different time of year and see how they look. Not sure if our expectations were set too high for the maze but it was a let down, still everywhere else more than made up for that. Well my sense of direction is dreadful Cheryl and no maze would ever be too easy for me!! Spin me round twice and I’m lost but our son thought there would be more to it! I loved the chimneys too, they fascinated me but the whole place is incredible. Thank you for reading and commenting. That would be so great – living near to those incredible grounds and just wandering when you felt like it! Perfect. Beautiful photos! What a lovely place! 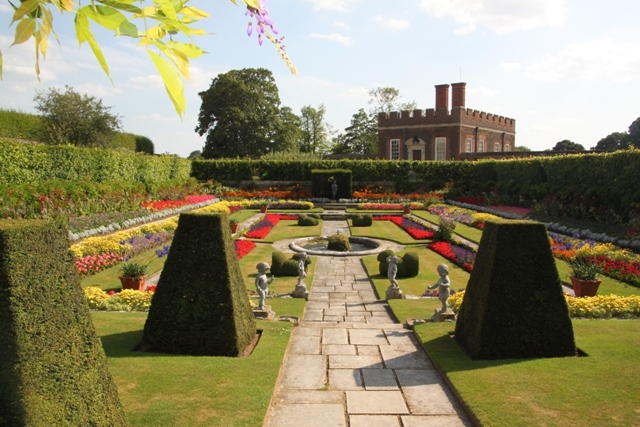 The photos couldn’t do it justice – it is just stunning, some of the nicest grounds and gardens I’ve been lucky enough to visit. I just love those trees! They look so pretty like umbrellas. They must be shaped endlessly by a full time topiarist. Yes, they’re just perfectly shaped aren’t they? The gardening team at this place are very talented – I could do with a fraction of their skill! What a stunning garden. Not only the flowers, but the shape of the trees is fantastic, so fun! And that is a lot of chimneys for sure!! 🙂 Lovely post! 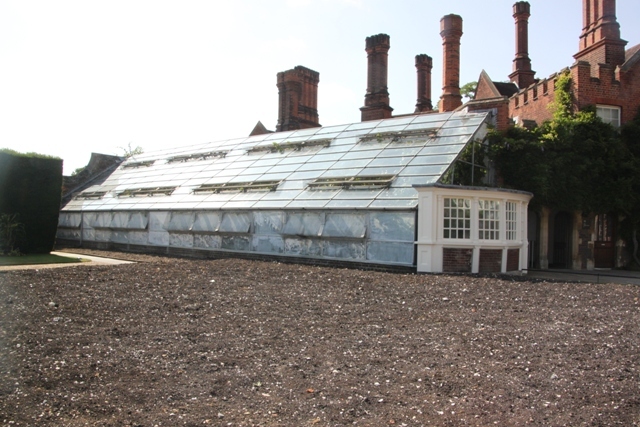 Those chimneys intrigued me – never seen so many in one building!! The gardens were super – beautiful and loads of fun to explore. Is that Longleat? Did I understand it right? 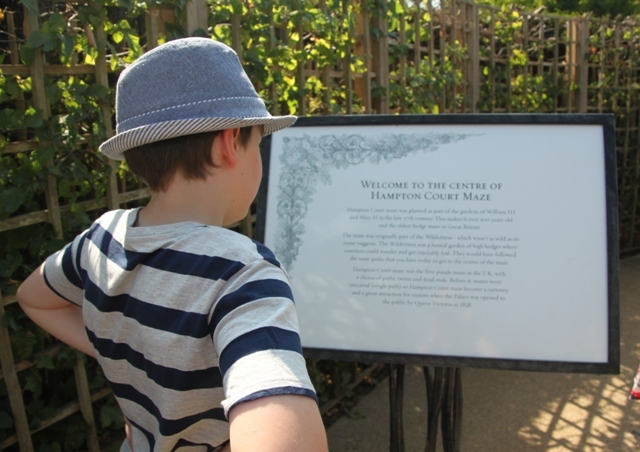 No this is Hampton Court maze Erika – was just comparing it to Longleat maze – which we preferred, but we did love the gardens at Hampton Court! OK, then I got it. You are right, Longleat was “obvious” to walk through when we were there, too. It’s a beautiful place – easy to take good pictures there!! I don’t get excited about gardens but I liked your post, and your pictures. The size of the grounds really surprised me. Thanks for the post, and the photo’s, Your son is going to have lots of cool memories when he looks back at his childhood. I think these gardens were pretty special ones! 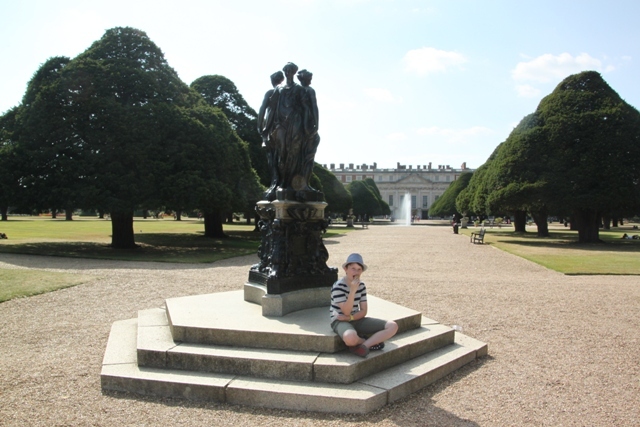 We had a lovely day out – I hope my son looks back someday and remembers this place! Great post. Enjoyed reading about this splendid place and its gardens. Brings back great memories of my trip their in the late nineties. Thank you – I don’t suppose it has changed very much since you visited – still absolutely gorgeous! Beautiful, Joy. I remember walking through the gardens, stopping to speak with some of the landscapers and not wanting to leave. Gorgeous, thanks for the trip down memory lane. They definitely have some green fingered and talented people working there George – the colours and landscaping was amazing we thought! Glad to bring you back down memory lane!! This was last summer when we actually did get some blue skies so it was wonderful. Started to forget what blue sky and heat feels like though…..
A gorgeous place! thanks for the views. 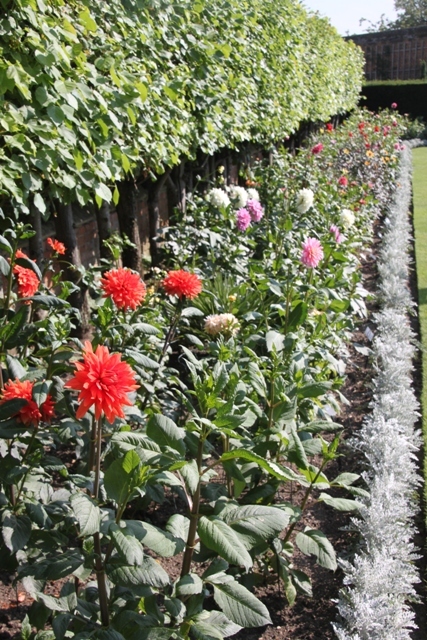 The gardens and grounds really are stunning – perfect day out!! I have some travel picks to post soon. I really enjoy sharing the pix too. These ones are extra special I think Jenny – if ever you get the chance definitely try and visit Hampton Court when you’re back in England! What a lovely looking place! Need to visit here with the family when we get to England. 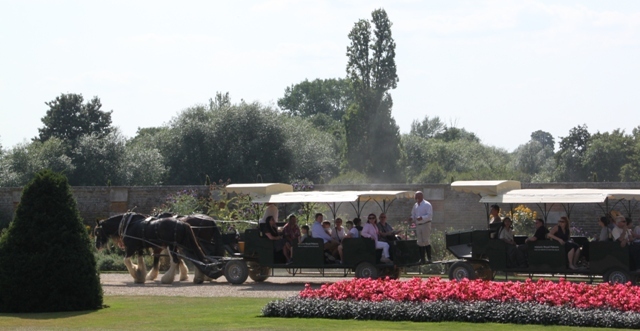 It’s a great family day out David – definitely something for everyone, we loved it all and would highly recommend! 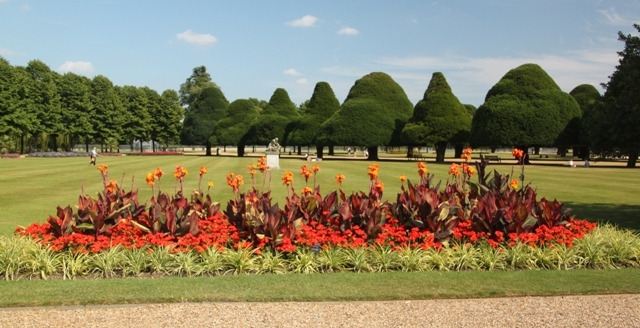 The grounds and gardens really are stunning aren’t they? I haven’t been in that maze for at least 2 decades! I remember it being much bushier! Apparently, if you turn left every time you’re able to, you find your way out! I think that was the problem with the maze – you could see right through it! Still no maze is too easy for me – I could lose my way out of a paper bag – I just follow my son!! 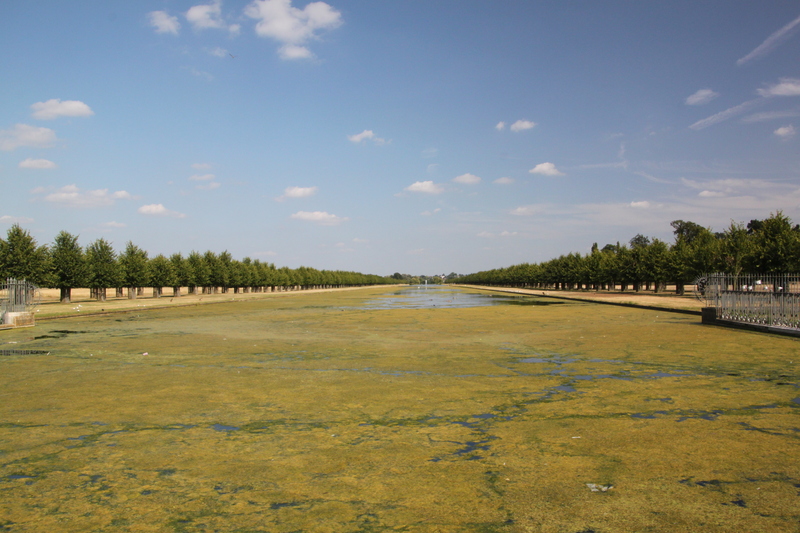 The grounds are just gorgeous – we expected that but were completely blown away, loved every second of our exploring. This was last summer Rosemary – blue skies and sunshine seem to be a bit elusive here at the moment although it’s supposed to pick up a bit for the Bank Holiday. We’re just off to Cannes though for a week during the school holiday – definitely hope we see some sunshine there!! They are – so much to see and explore, it’s a fantastic day out. The East Coast Contessas are going there in March!!! This just made me us so excited! Thanks for sharing! It’s such a great place to visit – hope you enjoy it too! One of those places that never changes I’m sure Jo – such a lovely day out. 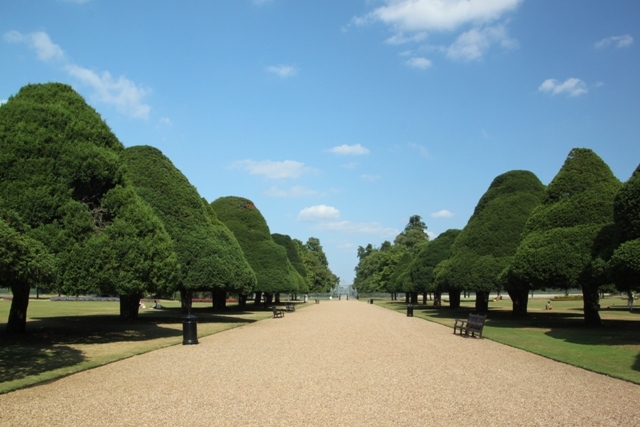 I Love Hampton court and your photos have given me so much pleasure. It’s way too long since I was last there and none of those shots are digital. Note to self! Thank you Anne! It was such a lovely day out with plenty of sunshine which always makes the pictures look better! It does not look too crowded there! It was fairly crowded when I went last week. 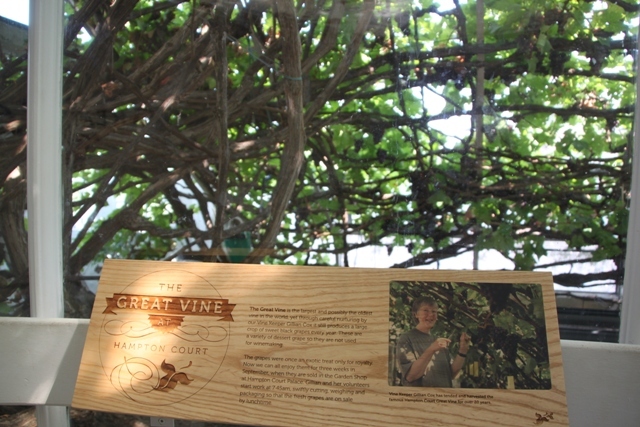 We thought the largest vine was an interesting attraction and also stayed until closing. I definitely hope to go back there one day! 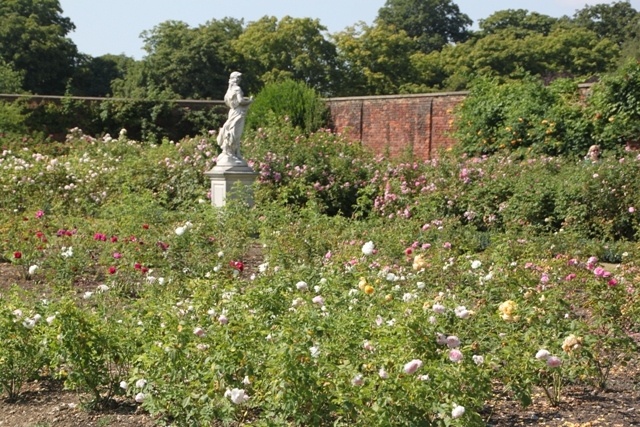 We visited on a Tuesday last July and although plenty of people around inside found the gardens were pretty empty. That vine is incredible – we would go back again too, a fascinating place. Great post and pictures. This is on my list for a day trip soon! It is such a fun day out – the house is fascinating and there is so much to see and learn about and then the gardens as well! We loved it.